A "Remembrance Area" and a new visitor's entrance will be among the changes when the Navy rebuilds Building 197 of the Washington Navy Yard, where a gunman killed 12 people and then was killed in a shooting spree in September. Navy Secretary Ray Mabus decided against demolishing Building 197, former headquarters of Naval Sea Systems Command, and instead ordered restoration of the building. The building was badly damaged by the gunfire and has been vacant in the months since. 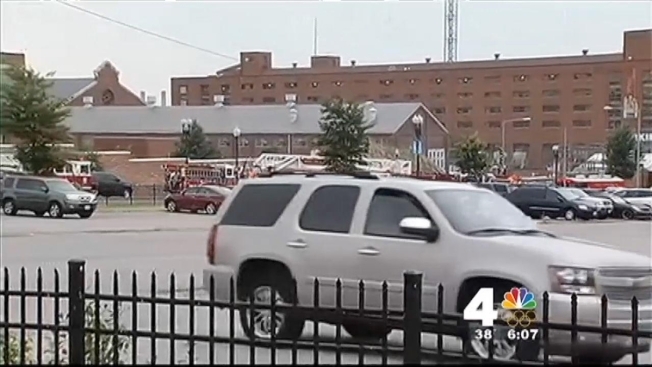 Many of the 3,000 naval employees who worked inside Building 197 have been relocated to a facility at Buzzard Point. "If an employee is uncomfortable with returning to NAVSEA Headquarters at the Washington Navy Yard, the Navy will work with the individual to provide reasonable accommodations at another building on the Washington Navy Yard," a Navy official told News4. "NAVSEA houses employees in multiple buildings across the Navy Yard." The "Remembrance Area" will be a memorial for the victims inside the rebuilt facility. The building’s cafeteria will also be renovated. A large group of employees were in the cafeteria for breakfast and heard the gunshots when the shootings began. The renovations and rebuilding also will include new paint, carpeting and furniture, a Navy official said. A new visitor’s entrance will be constructed at the building’s southern end.